HOLY THURSDAY 18TH APRIL 7.30 P.M. This Mass will end with a Eucharistic Procession to the Altar of Repose and there will be Adoration until 10.00 p.m. Everyone is encouraged to spend some time before the Blessed Sacrament on this special evening. The Chrism Mass will take place on Holy Thursday, 18th April, at 11.00am in the Cathedral, Letterkenny. This Mass is celebrated by Bishop Alan with the priests of the diocese. The Holy Oils used in the dispensing of the sacraments are blessed at this Mass for the year ahead. Everyone is welcome to attend. TRÓCAIRE: Please bring your Trócaire donation in the special Trócaire Envelope provided in your Sunday Envelope Box, dated for Holy Thursday. It would make the work of the counters much easier if you could replace small coins with larger coins/paper money. GOOD FRIDAY 19TH APRIL 3.00 P.M.
Good Friday is a day of Fast and Abstinence. The Collection for Holy Places (Holy Land) will be taken up today. HOLY SATURDAY EASTER VIGIL 20TH APRIL 9.00 P.M.
Candles will be provided for use during the Service of Light. Please try to avoid candle grease dripping on the seats or floor. The Children and Families preparing for First Holy Communion will lead us at this Family Mass. Easter Egg Hunt after Mass on Easter Sunday in the picnic area in front of the Parochial House. Should the weather not oblige, there will be tea in the Market Hall instead. All Welcome. The Annual Party for the First Holy Communion Children, their families and guests, will be held in the Community Centre after Mass. Refreshments will be served for everyone attending. All donations would be gratefully appreciated to help cover costs. Thank you to all who generously made donations to help defray the cost of the installation of the Webcam system. A further €250 has been gratefully received. Practice for Altar Servers in St. Connell’s Church, Glenties. N.B. Prayers and Blessings of the Graves will take place instead of Mass. The Catholic Healer and Prayerful speaker, Eddie Stones, will lead us in an afternoon of prayer and healing on Saturday 25th May between 2 – 6pm. This will consist of Adoration, Mass, Confessions and a Spiritual Talk. We hope that this will provide an oasis of prayer for all our parishioners who wish to avail of this afternoon of healing, prayer and praise. Those wishing to seek further information on Eddie Stones and his Emmanual House of Providence, Clonfert, can visit www.emmanuelhouse.ie or telephone 0579151552 or email contact@emmanualhouse.ie. Good Friday Walk, April 19th at 11am from the Glenties Day Centre. Donations for the Alzheimers Society (Glenties Branch). Glenties Men’s Shed would like to thank the people who supported the Table Quiz last Saturday night. A great night. Hopefully there will be more nights. Join Accord as a Marriage Preparation Course Facilitator. Apply at www.accord.ie. Closing date for applications is Friday 3rd May. 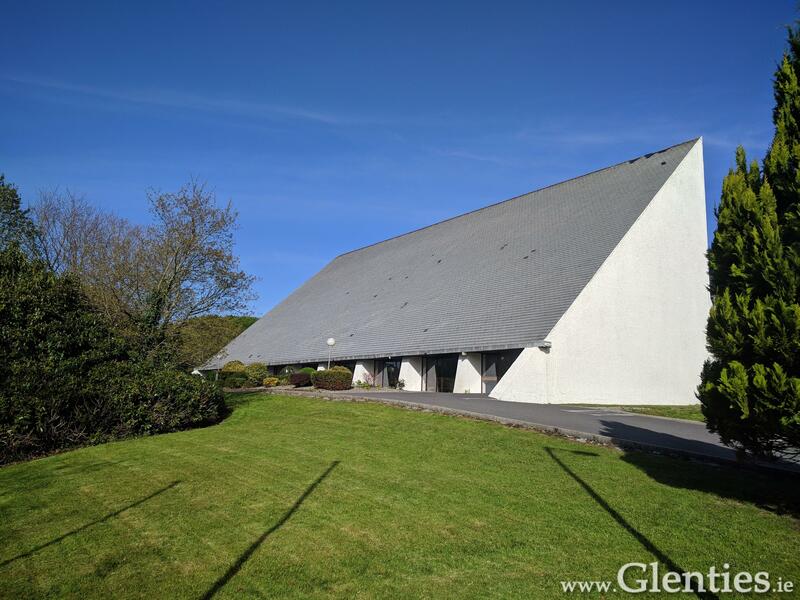 Glenties Community Centre Amalgamated Ltd CE scheme have vacancies for Caretaker for Community Centre, Museum worker, Horticultural workers/ Maintenance workers, C.E criteria applies. To apply for any of the above please e-mail glentiescommunitycentre@gmail.com for more information. C.E workers can avail of training to up skill while on CE scheme. As you are all aware Owenea FM is back in operation and in the coming weeks we will be seeking support in the form of sponsorship for all business in the Ardara, Glenties and Portnoo catchment area. With that in mind we have enlisted the help of Anne Gildea, Glenconwell to call with all current and potential sponsors. We look forward to your continued support for our Community Radio. We would like to take this opportunity to encourage all groups organising charity events or such community activities to provide details to the station so that we can broadcast the news to a wider area. Please send any news items you wish broadcast to Tommie O’Loughlin on email: tolliver2@gmail.com. 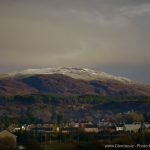 Bluestack Challenge Fundraising Walk, Saturday 8th of June 2019. Supporting People with Additional Needs, Register on bluestackfoundation.com OR Phone 074 9740828 for more details. Are YOU up for The Challenge? Mercy Sunday, 28th April, Pilgrimage to Knock Shrine. 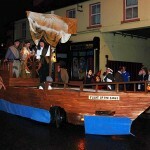 Coach leaving from Glenties at 8.00am. Anyone interested please contact McGuinnes Coaches 074 9551284 or 0872395827. TRÓCAIRE: Please bring your Trócaire donation in the special Trócaire Envelope provided in your Sunday Envelope Box, dated for Holy Thursday. Last week’s OFFERTORY COLLECTION amounted to € 410.00. Thank you.